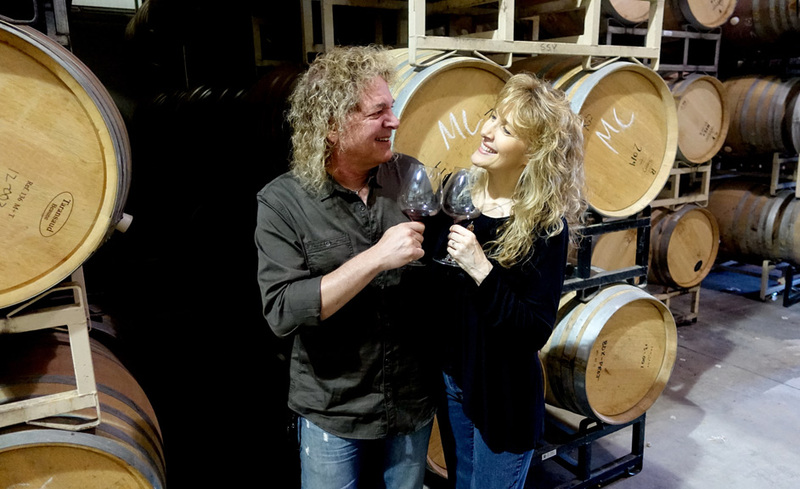 Wine lover and rock star, Dave Meniketti, had been tempted by friends in the wine industry to start his own brand of fine wines. So with his wife, Jill, he started Meniketti Wines, partnering with premier California vineyards in the renowned Santa Lucia Highlands and Monterey appellations. Like everything Dave does in music and in life, he approaches wine with passion and taste. Dave Meniketti is the lead singer, lead guitarist, principal songwriter, and founder of the globetrotting rock band, Y&T. Jill Meniketti is the manager for rock band Y&T, plus, she’s an author.